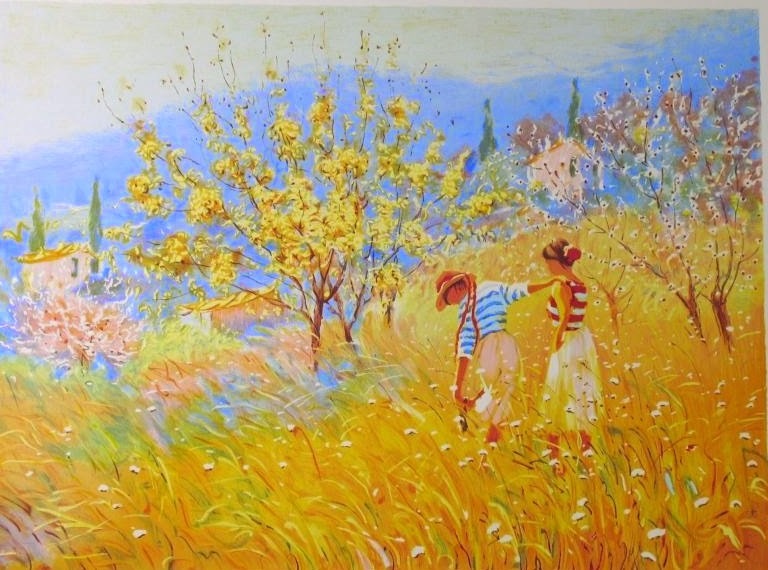 Claude Fossoux was born in Paris of a Savoyard father and a Parisian mother. 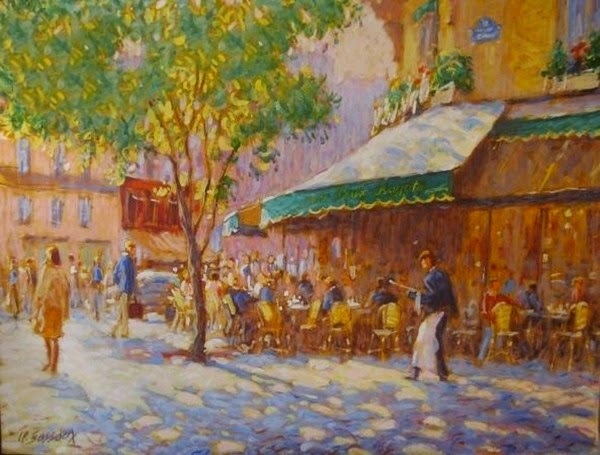 After school, Claude obtained a grant to study at the Ecole Nationale Superieure Des Beaux Arts in Paris where he stayed for four years. 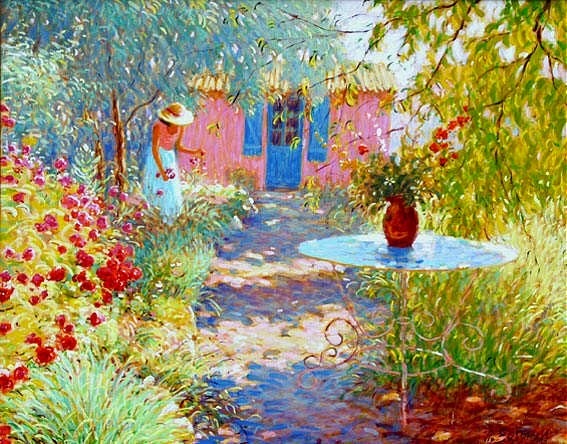 During that time, he attended the studio of Chapelin-Midy and Pierre Caron. 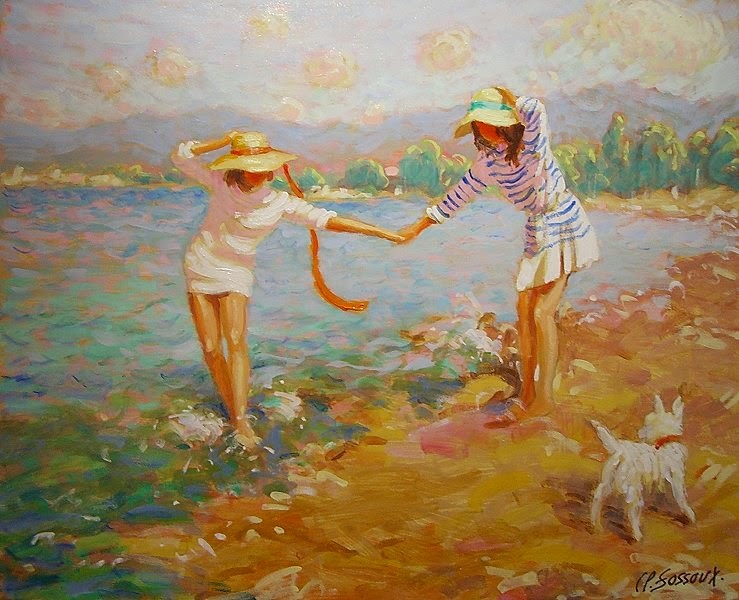 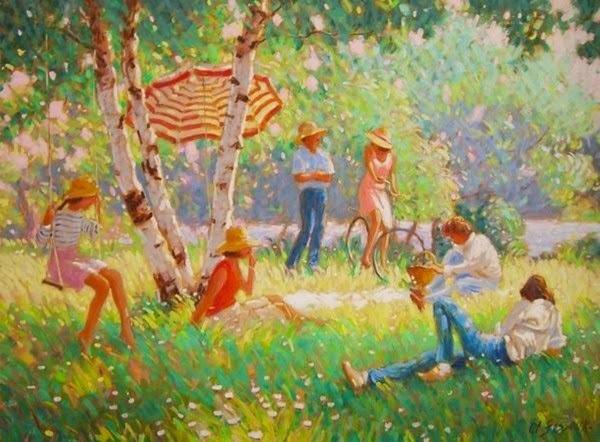 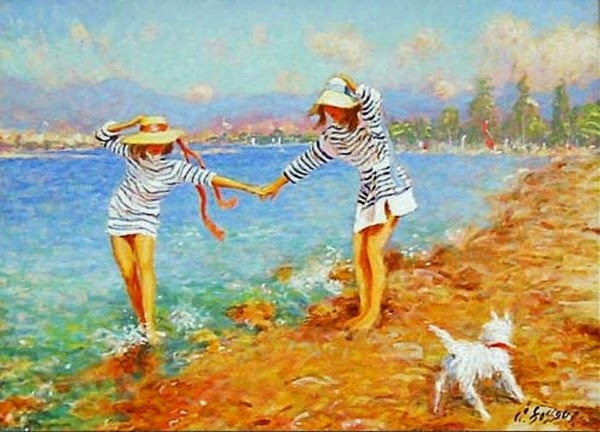 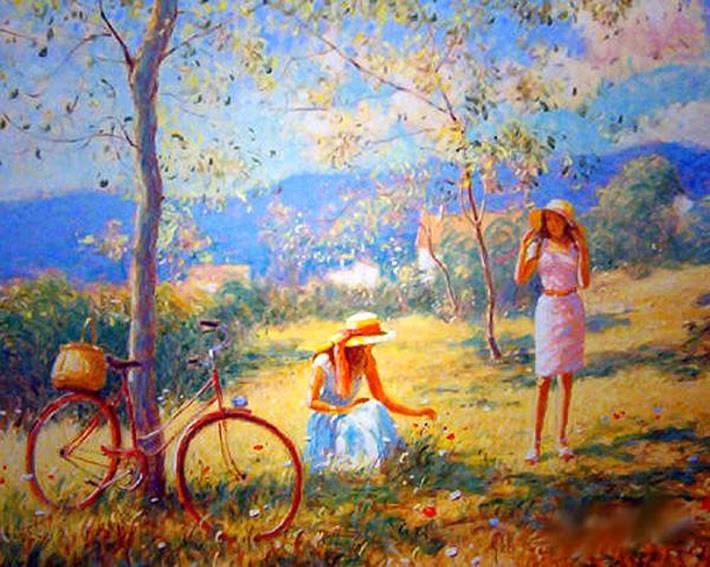 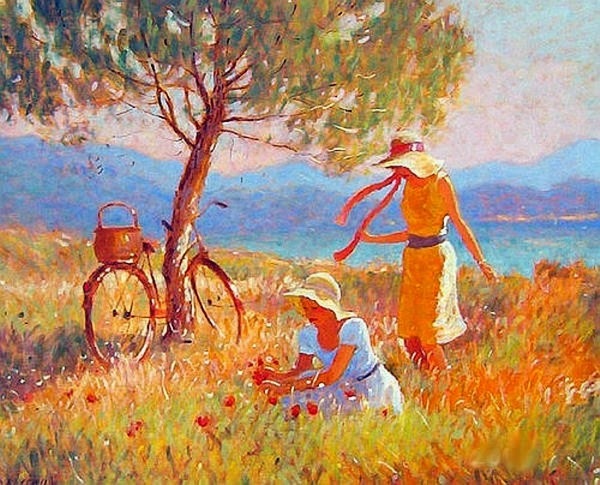 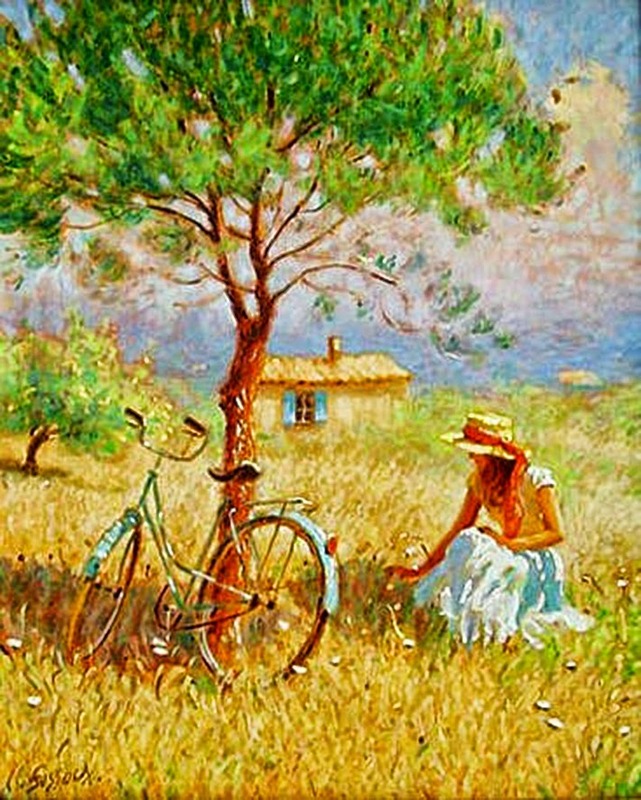 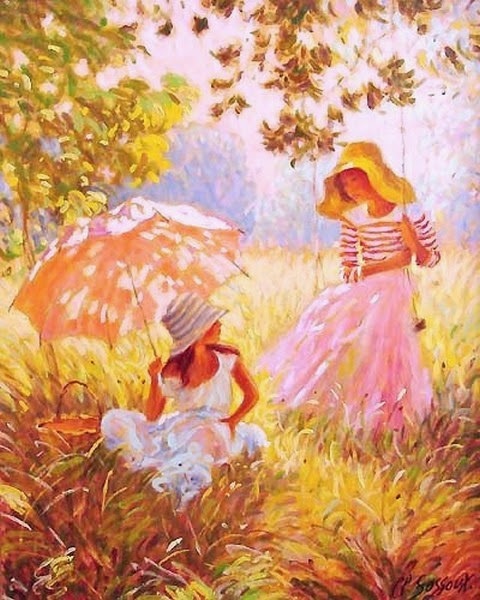 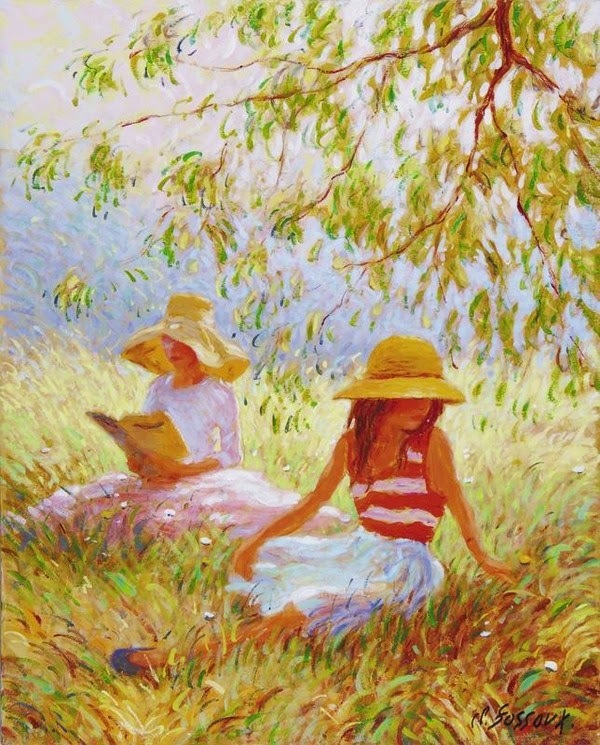 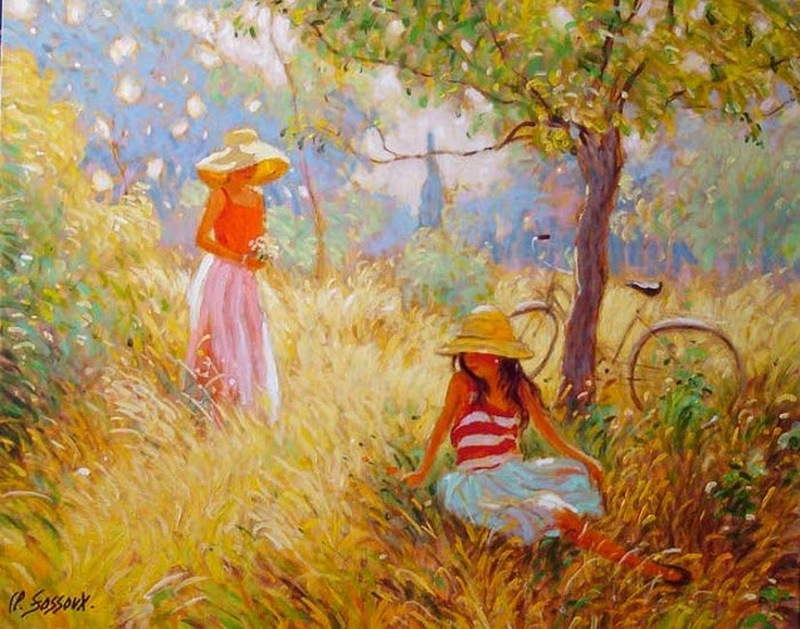 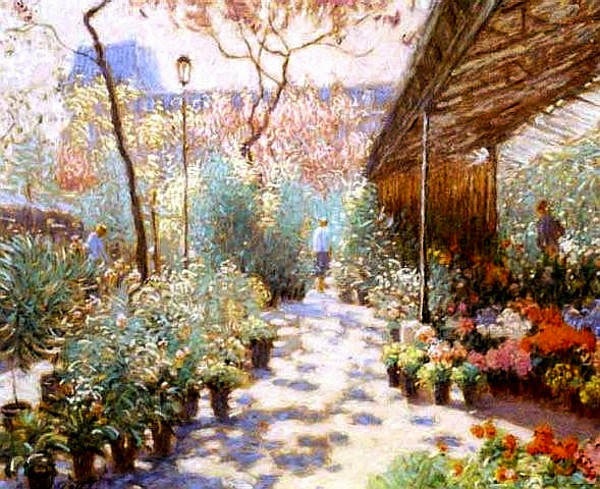 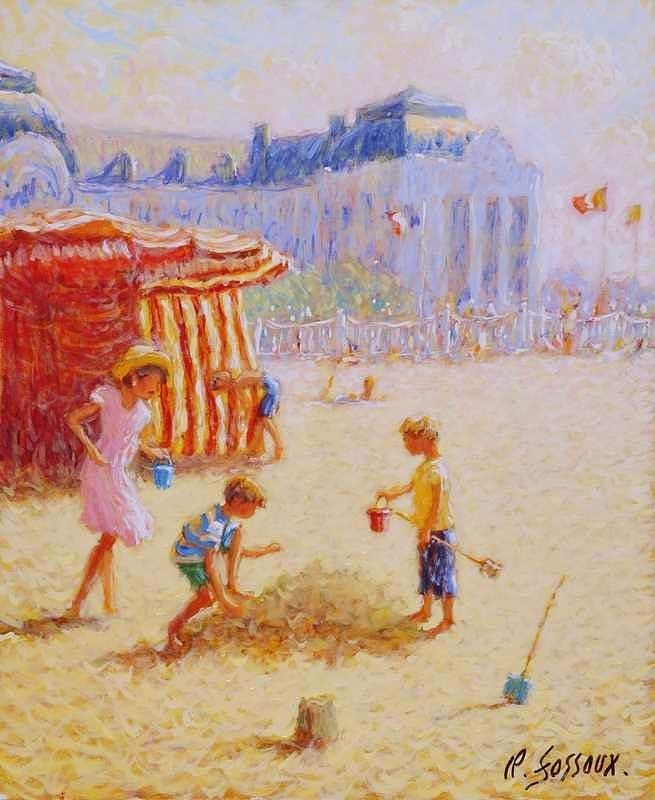 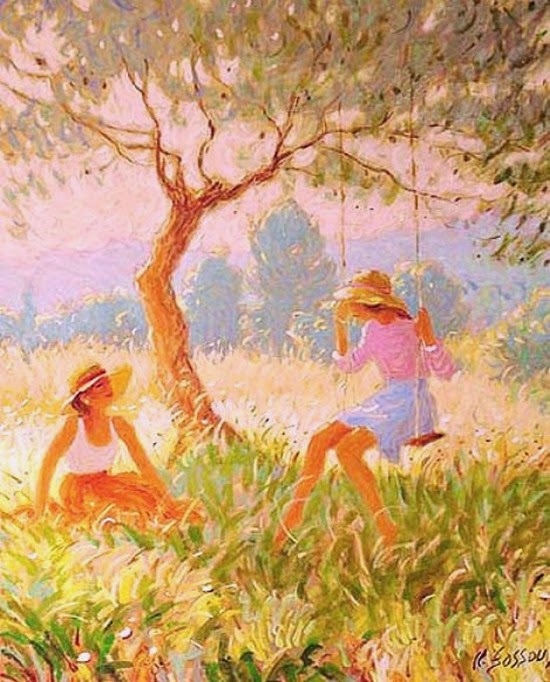 He was greatly influenced by the Impressionists, particularly Sisley, Pissarro and Renoir. 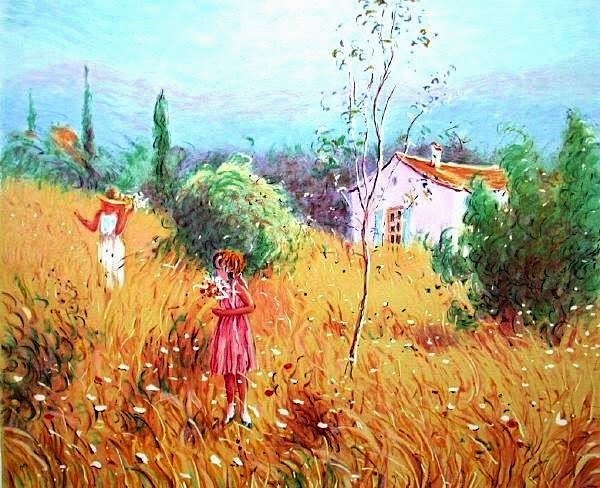 But it was Claude Monet and Van Eyck, the Flemish painter of the Fifteenth century, who have most strongly influenced Claude Fossoux's pictorial personality. 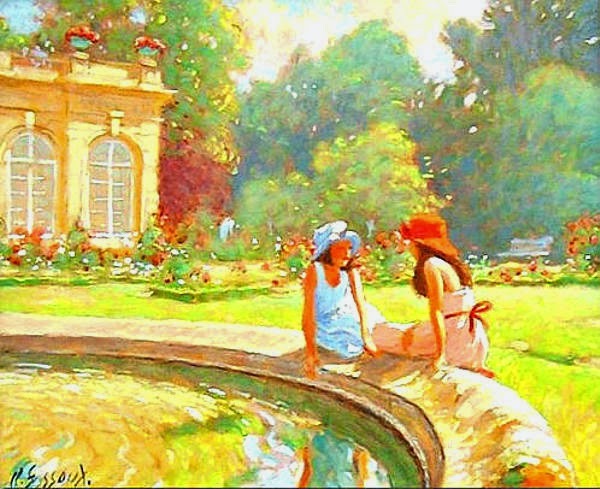 His work is a subtle blending of the techinques and expressions of these two renowned masters. 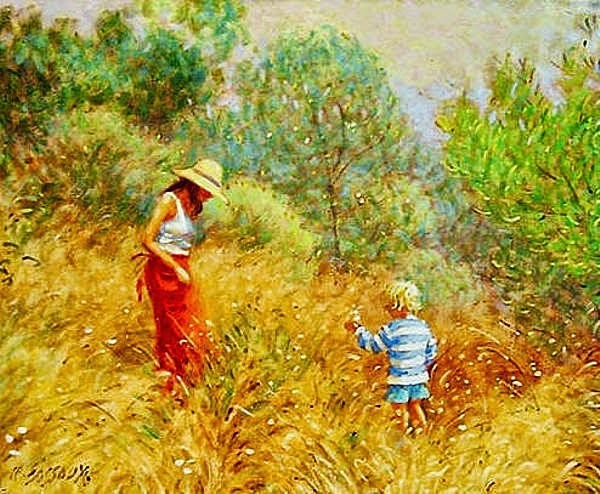 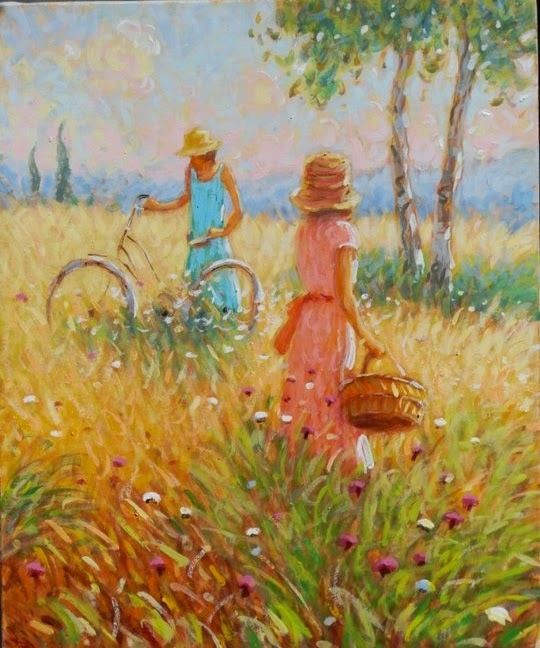 The landscapes of Provence are one of his favorites with their bluish tints in the distance and their warm colors in the foreground; the little mass huddled behind the hills, the wide variety of vegetation. 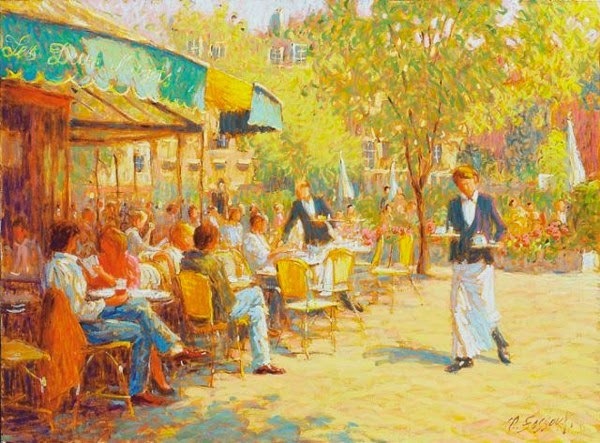 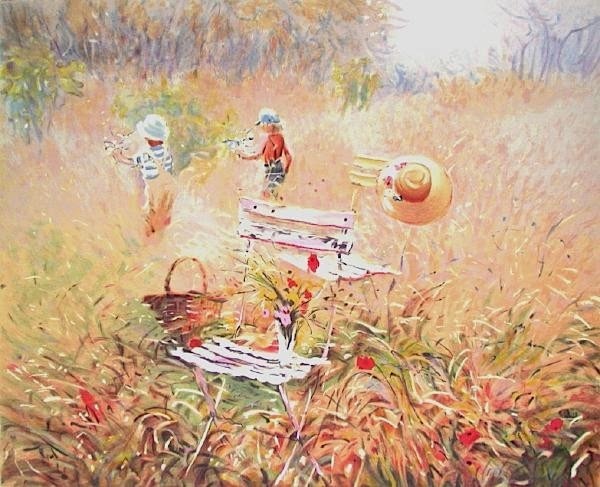 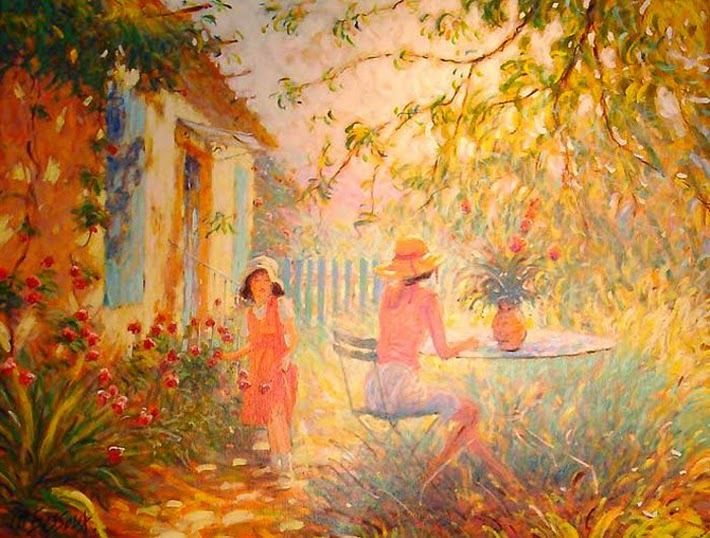 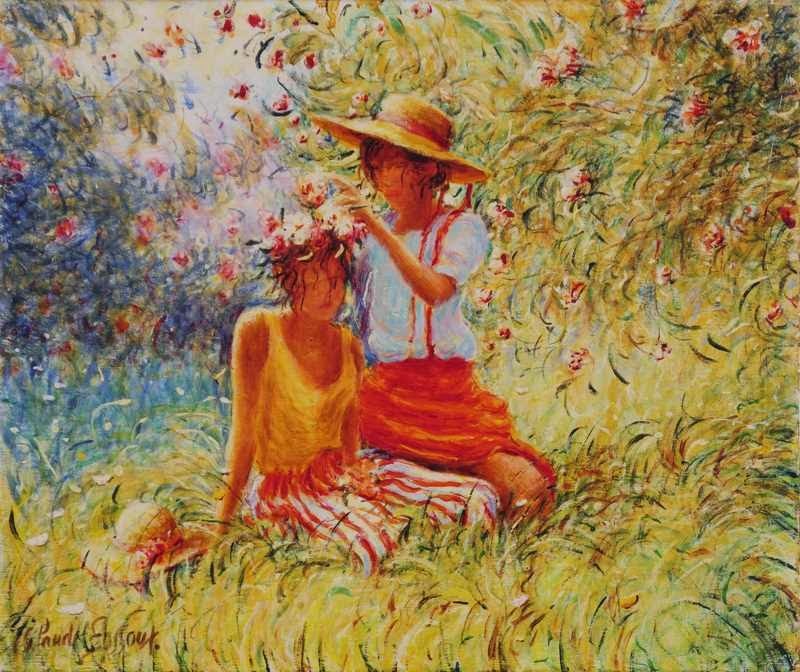 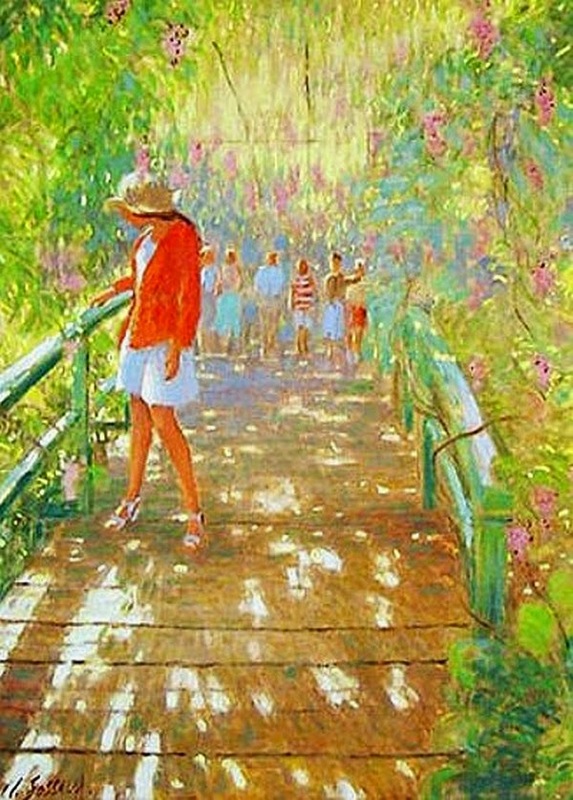 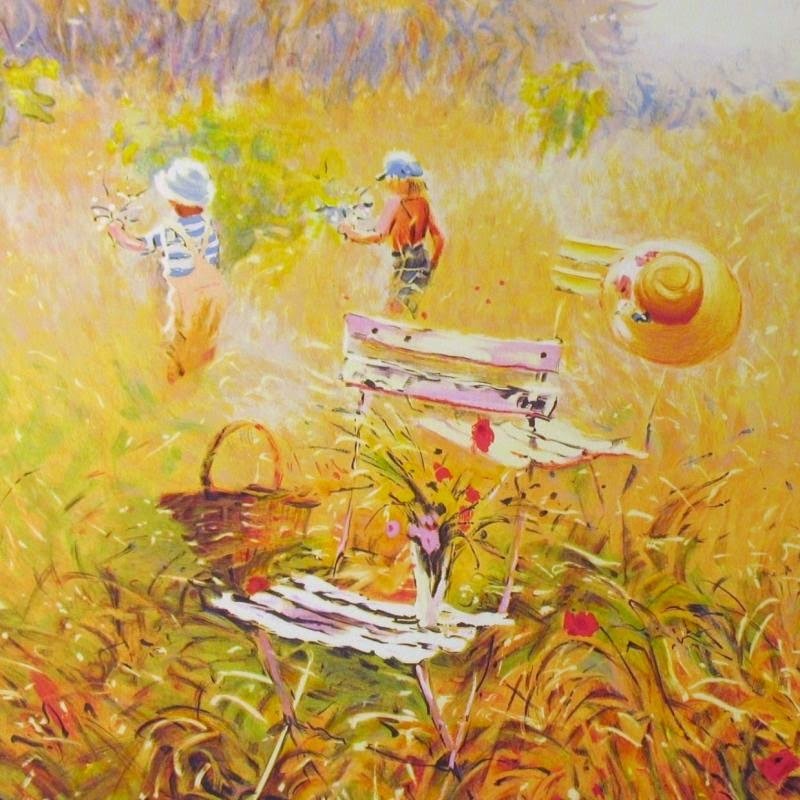 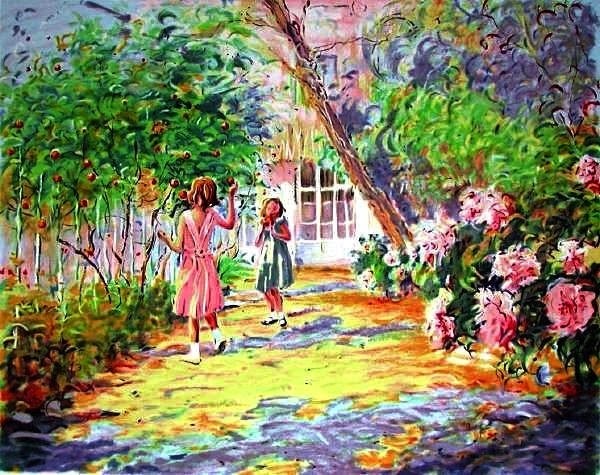 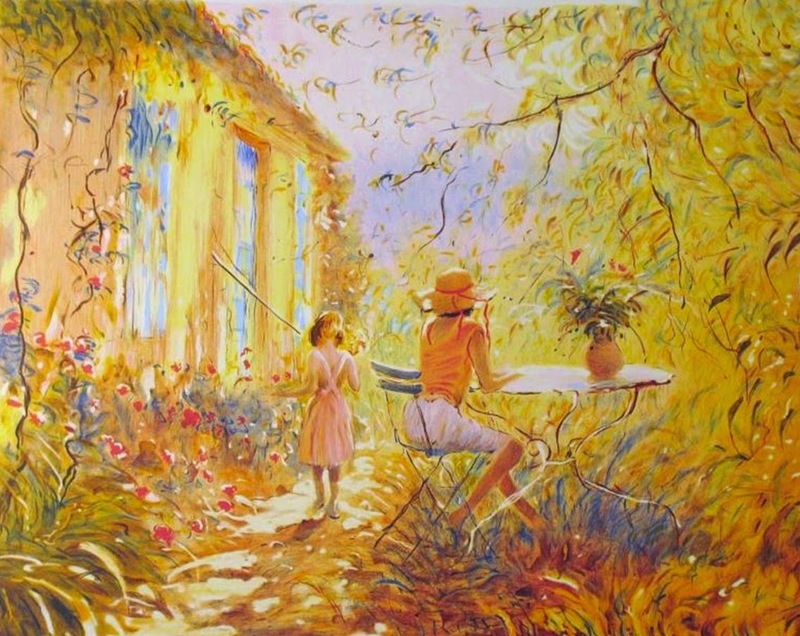 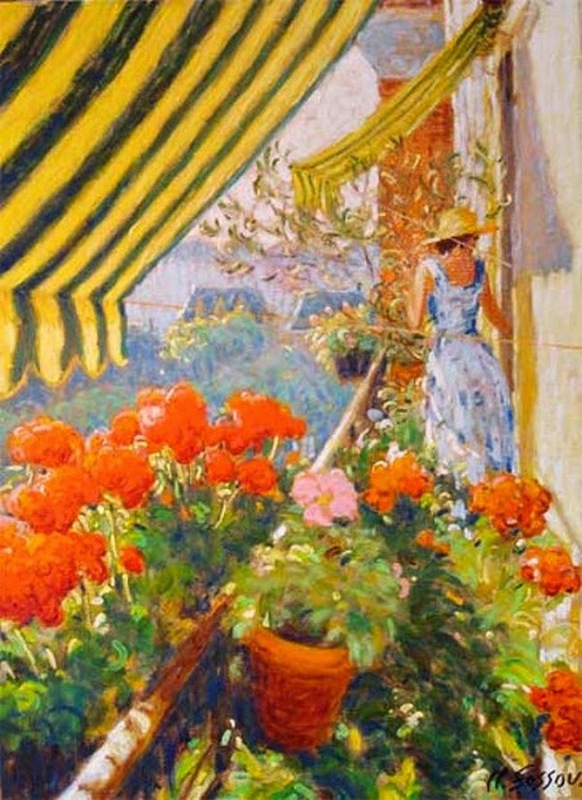 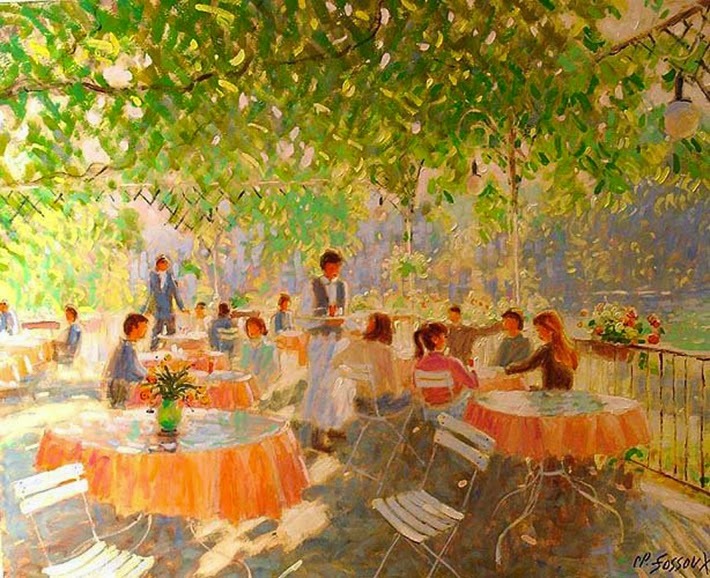 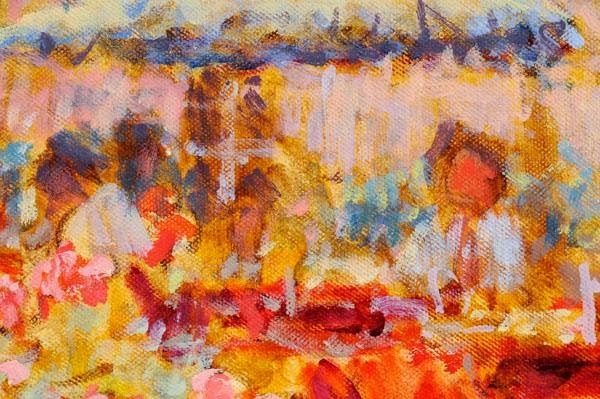 He also likes to paint cafe terraces, young girls wearing hats trimmed with flowers and ribbons, indoor scenes, children in gardens or public parks. 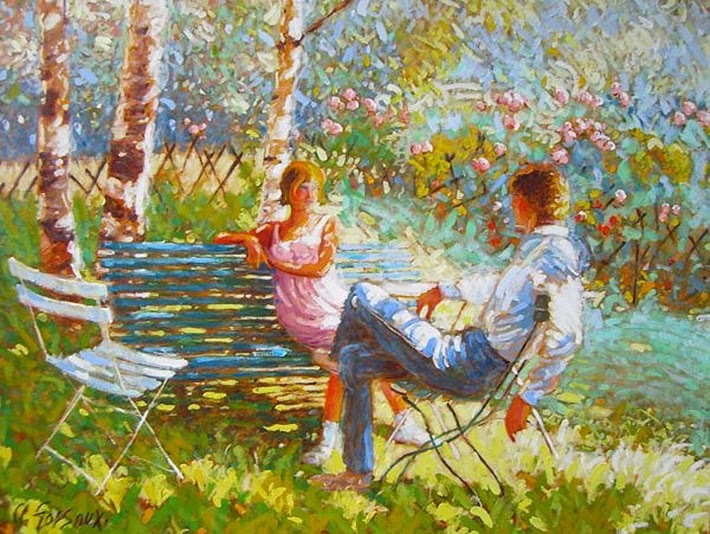 He loves to make portraits and catch the personality of models, and to compose still lives where he can work on the effects of different textures. 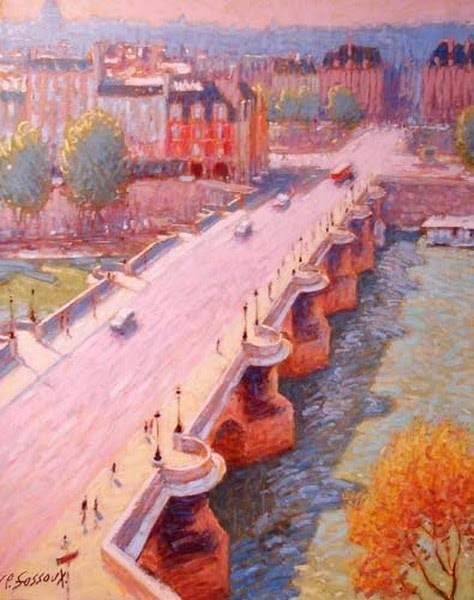 Critics say that the light is alive in Claude Fossoux's paintings; it seems to come from the back of the canvas. 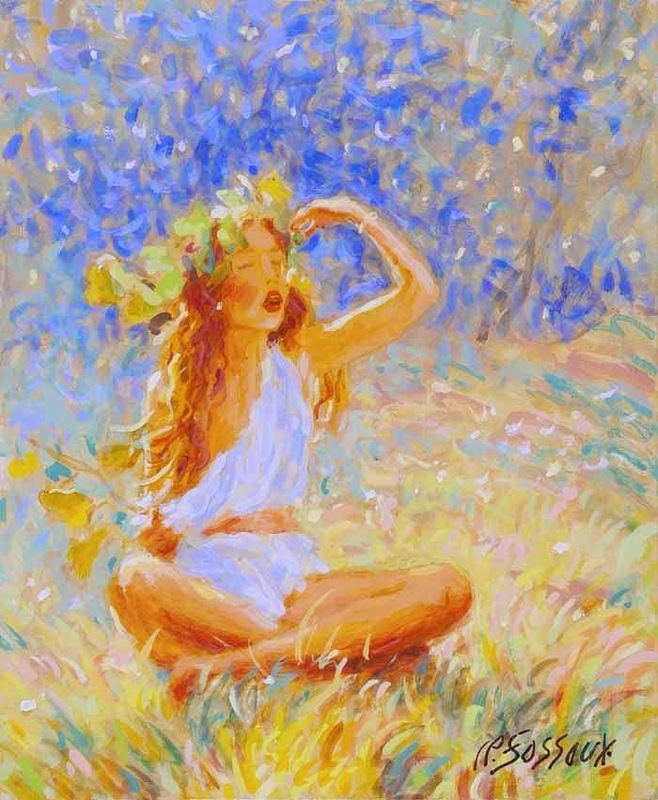 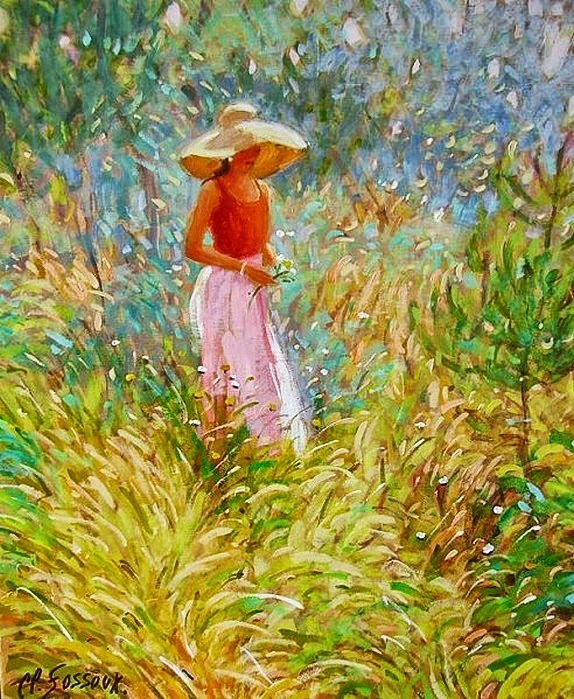 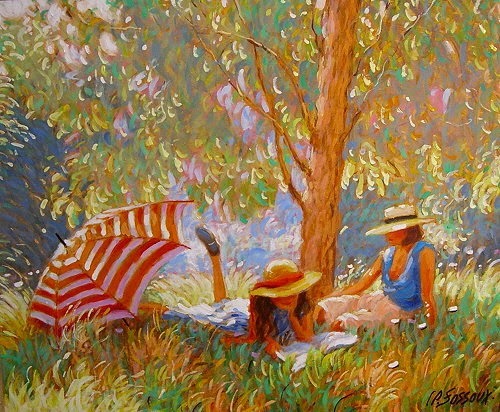 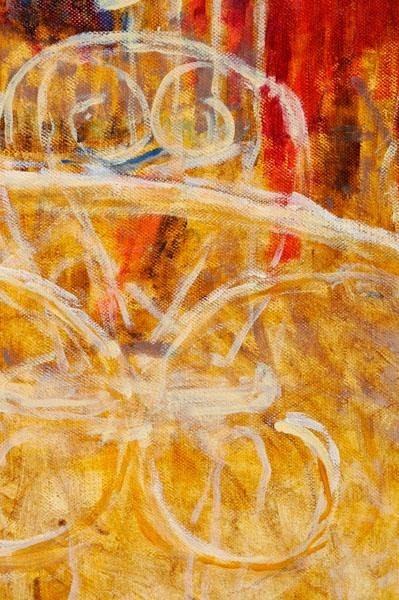 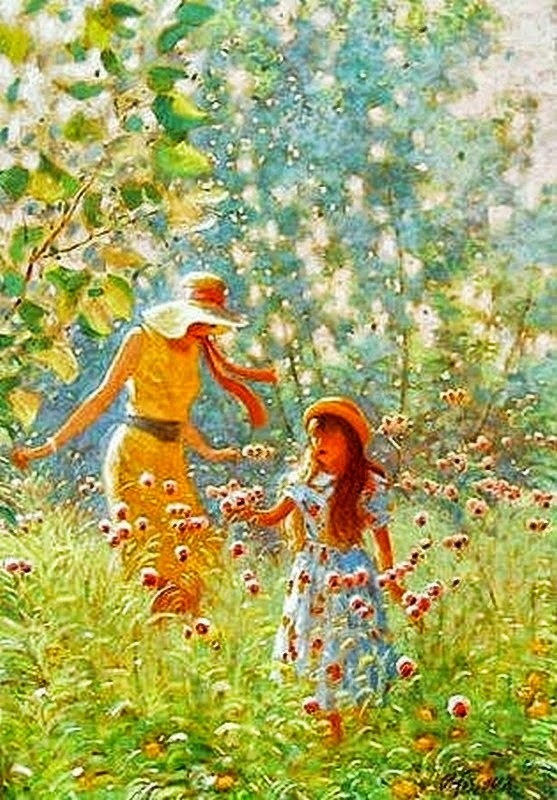 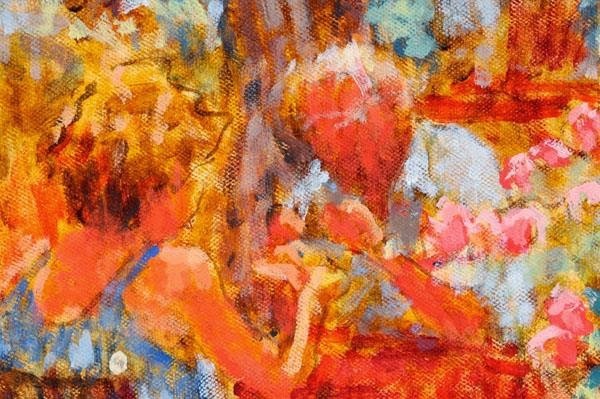 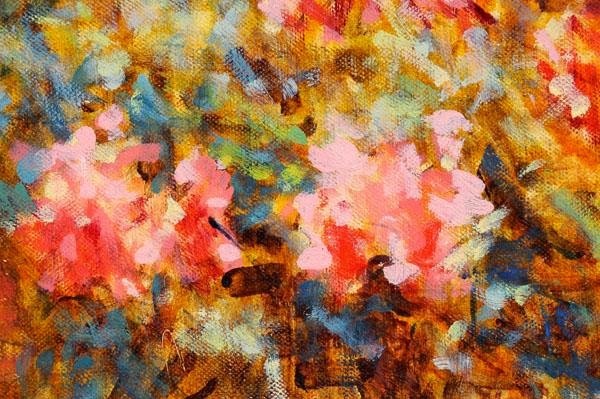 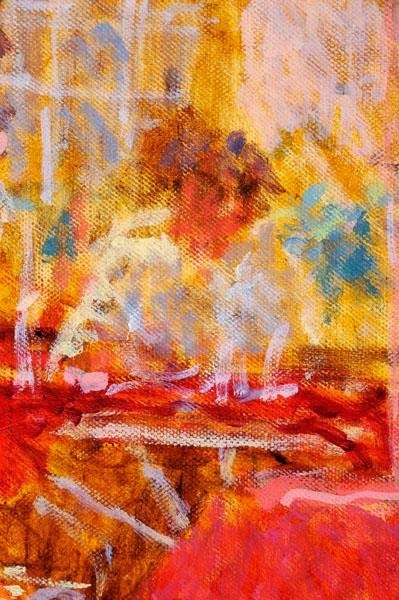 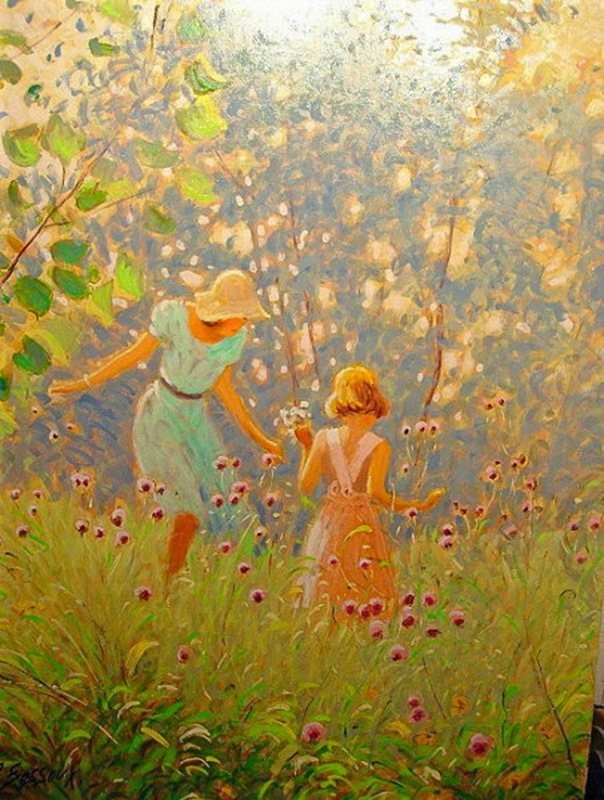 His palette of fresh and shimmering colors, spangled with light, produces a style of painting both vibrant and joyous. 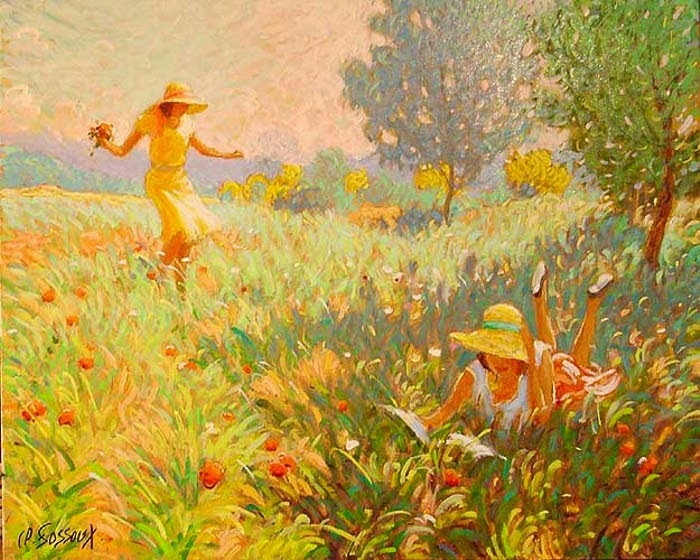 All of Claude Fossoux's works are luminous and spring-like.